And that should be it for now. There's whispers of the traditional Mega Man X costume hiding somewhere but no one's found it yet. Dead Rising 4 is fairly new, mind you. Only time will tell! Pretty neat they look like Cyberbots more than Robot Masters tho. No thanks. Too Cbyerbots looking and ugly suit. Thats not Rockman X and Zero at all. It's actually Bass and Zero, X was in the past games. Oh yeah, thanks for pointing the finger. Still the same things. Too ugly. 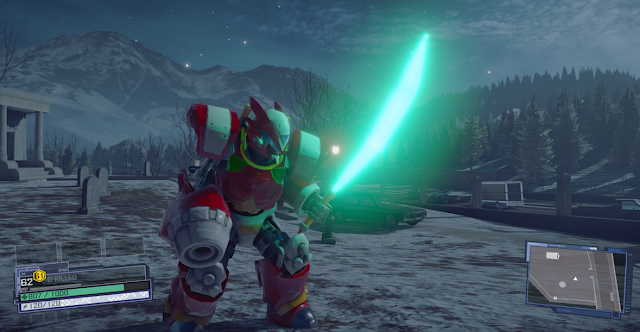 this is a dead rising game, so of course it will look like a dead rising suit in the color of Zero. they're not going to suddenly put a megaman design in a game where it would seem out of place. Great. Between what Protodude said and the current comments, now I want to see a mecha battle between Zero-Akuma/Gouki from Cyberbots: Fullmetal Madness and that Zero suit thingy. Heh heh.